Hello, and thank you for visiting Ditch Doc EM. My name is Owen Wood, and I am the site’s founder and editor in chief. My passion for medicine is rooted in the belief that we can always be better at what we do. The speed at which information is discovered and produced within our field is blistering, and often, difficult to keep up with. By the time books are printed, the information is frequently outdated. However, Free Open-Access Medical Education (FOAMed & EMS FOAMed) has changed the way we learn and share ideas. Just a few years ago, I was not a fan of social media at all. When I looked at outlets like Facebook and Twitter, all I saw was a narcissistic gossip machine. Then, one day, I discovered this thing called FOAMed, and it completely changed my opinion about social media. Noticing that most FOAMed is geared toward physicians, I wanted to create another outlet that would cater to prehospital providers, aka. EMS FOAMed. With this idea, Ditch Doc EM was born, and received quite a bit more attention than I had anticipated! While countless hours of hard work have been involved, building and operating the site has been an extremely rewarding experience. The sheer volume of people who are driven and passionate about improving the way we practice medicine is amazing, and I am so happy to have connected with every one of you! I am a practicing Paramedic in North Carolina, where I live with my wife Tracie, two daughters, and two Labrador retrievers. You can contact me by e-mail at DitchDocEM@gmail.com, or by clicking here. Please take a moment to subscribe to the site by clicking here. As a subscriber, you will receive email updates when new posts are published, as well as other exclusive content. 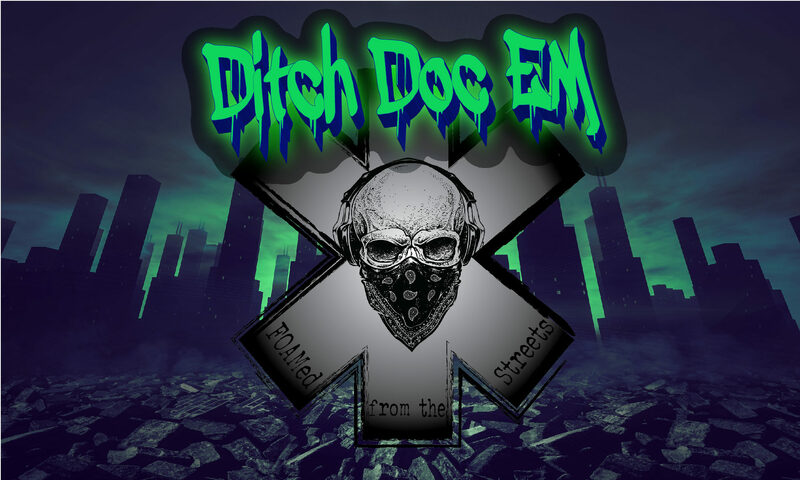 You can also follow me on the official Ditch Doc EM Twitter and Facebook pages. Thanks for visiting the site, and I look forward to connecting with you soon! P.S. Since I do work and volunteer for several reputable organizations, I find it appropriate to mention that any views or opinions expressed by me on this site or any related social media accounts, are my personal views or opinions and do not necessarily represent the views or opinions of any employer or affiliated agency. All information provided is for educational purposes only, and is not medical advice.